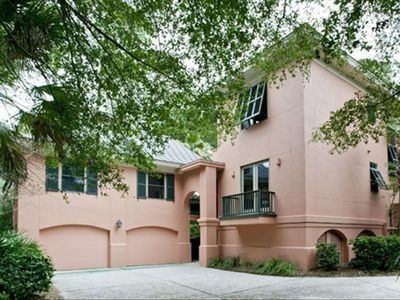 Attractive two-story home in gated Wild Dunes Resort. 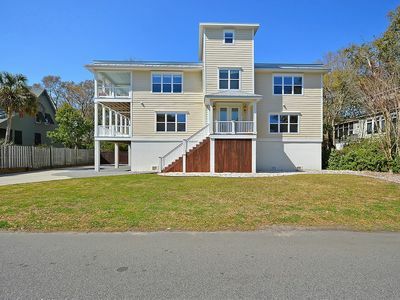 Short walk to beach and neighborhood pool. 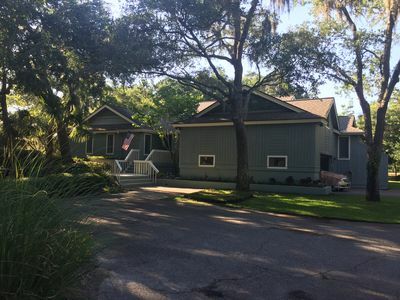 Spacious open floor plan, large rocking chair front porch, screened porch, fully updated. 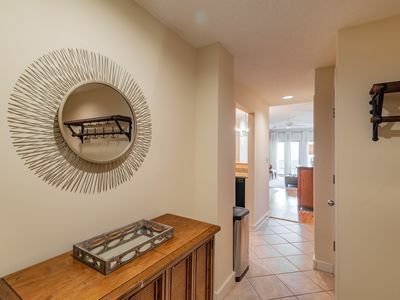 The interior of our home is comfortably and tastefully furnished. 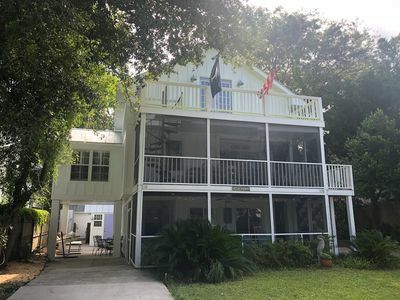 It includes 3 bedrooms, all with ceiling fans; a large living room with a 50 inch flat screen tv, a large dining room that seats 10 and a sunroom perfect for curling up with your favorite book. 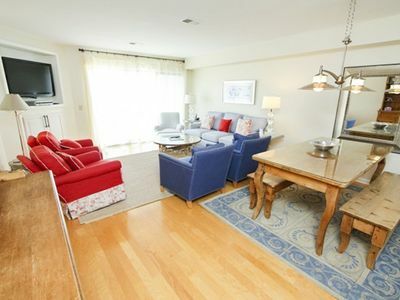 The master bedroom has a queen bed with a full private bath and French doors to the screened porch. The second bedroom, with 2 twin beds shares a full hall bath with the third bedroom, furnished with a queen bed. 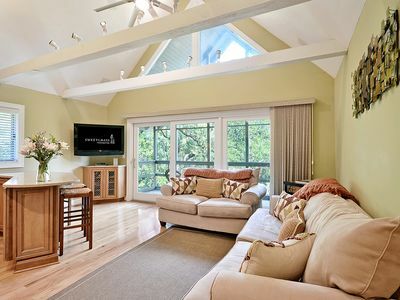 This bedroom also has French doors leading out to the screened porch. 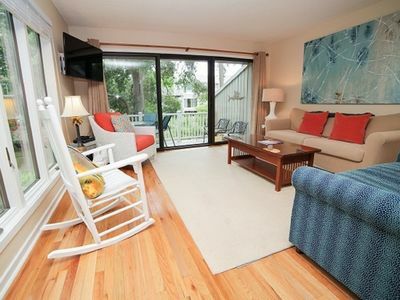 The sunroom upstairs has a queen-size sleeper sofa with doors for privacy and is right next to the upstairs full bath. 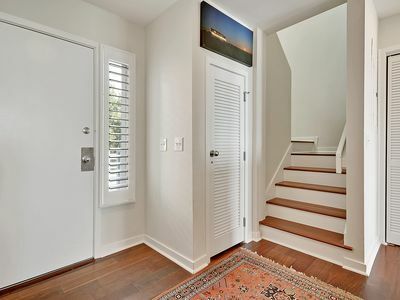 The house has beautiful hardwood floors throughout. 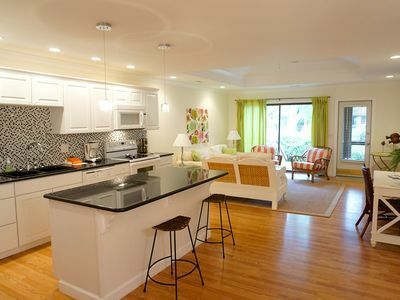 The kitchen and all 3 bathrooms have been renovated with granite countertops and new fixtures. If you love to cook, the kitchen is well-equipped with quality pots and pans and a wide assortment of utensils. 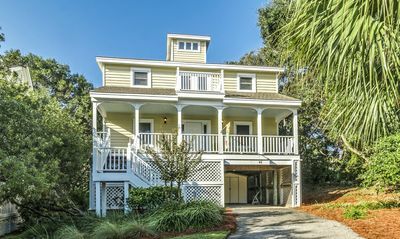 There is a large front porch with rockers and a private screened-in porch. The beach is just a short walk away and we provide a beach cart for your use, 6 beach chairs, sand toys, boogie boards and pool toys. There is also a gas grill. For inside activities, there are plenty of board games, books and a smart TV for the entire family to enjoy. WIFI is included. Located just a 20 minute drive from historic Charleston, there are countless sites to see, places to shop, and great dining. 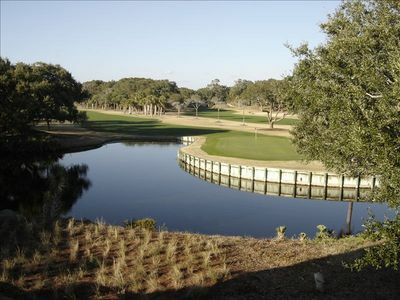 Wild Dunes Resort is known for its two championship resort golf courses, its beautiful beaches, great tennis and laid back lifestyle. 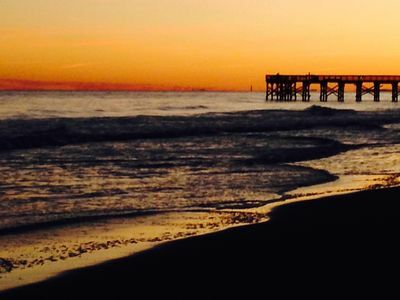 Wild Dunes is a gated community with 24 hr. security patrol. 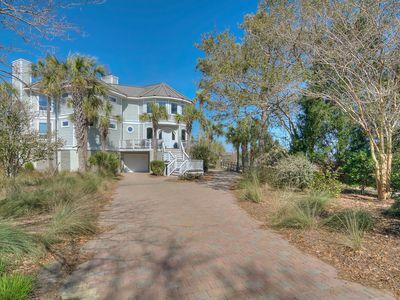 Mariner's Walk 7F/ 3BR Near Ocean Condo w/ Wild Dunes Amenities! Tranquil Lagoon Escape. 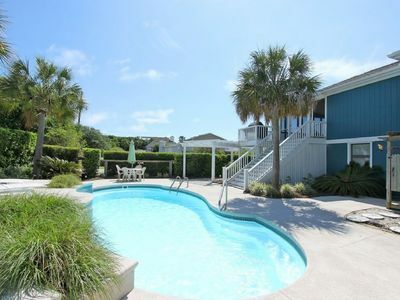 With Community Pool, Book your 2019 beach trip now! Your Perfect Island Getaway! 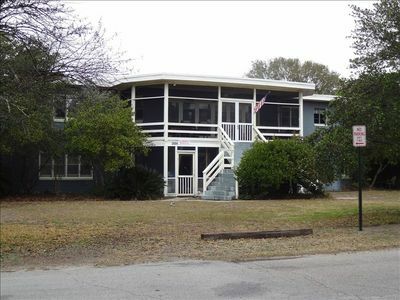 We're Only 250 Yards from Beach!! 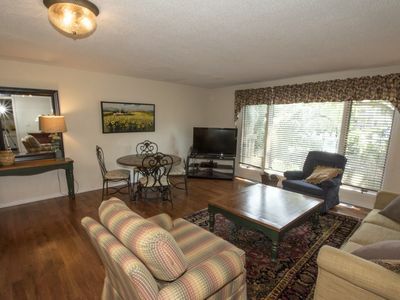 PERFECT retreat for a relaxing vacation- Close to Resort Center! What a Find! 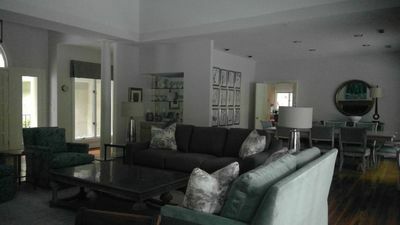 6 Bedroom w/ Pool + Use of a 3 Bedroom Guest House Right Next Door! 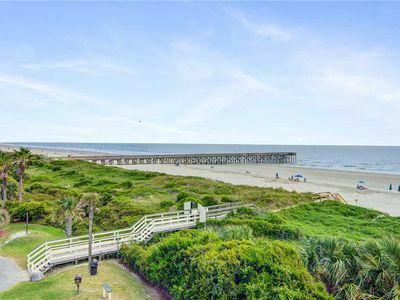 The PERFECT Retreat at Windswept Villas with Ocean Views! 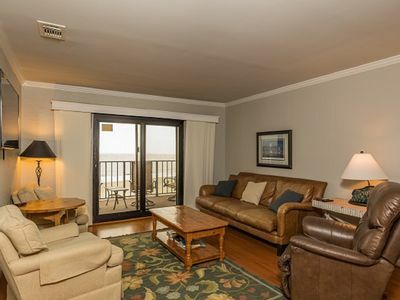 Lagoon Villa 13/ 2 BR Resort View Condo w/ Wild Dunes Amenities!